This year’s U.S. Atlantic hurricane season is officially the most expensive ever, racking up $202.6 billion in damages since the formal start on June 1. 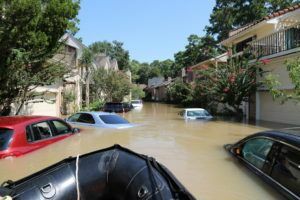 The costs tallied by disaster modelers Chuck Watson and Mark Johnson surpass anything they’ve seen in previous years. That shouldn’t come as a complete surprise: In late August, Hurricane Harvey slammed into the Gulf Coast, wreaking havoc upon the heart of America’s energy sector. Then Irma struck Florida, devastating the Caribbean islands on the way. Hurricane Maria followed shortly after, wiping out power to all of Puerto Rico. And the season’s not over yet: It officially ends on Nov. 30. The season delivered 17 named storms, 10 of which became hurricanes that altogether killed hundreds across the Atlantic basin. While 2005 still holds the record, with 28 storms, the intensity and dangerous paths of this year’s tropical systems caught even seasoned forecasters off guard. For the first time in records, three Category 4 storms hit U.S. shores, with Hurricane Harvey becoming the first major hurricane to slam the country since 2005. Harvey also set a new tropical rainfall record with just over 60 inches (152 centimeters) in Texas, according Michael Bell, a professor of atmospheric science at Colorado State University. Hurricane Irma, which bowled over the Florida Keys in September before threatening Tampa, set a record by maintaining Category 5 strength for 37 hours. That broke the old mark of 24 hours set by Typhoon Haiyan, Bell said. Accumulated cyclone energy, a measure of storm power and longevity, also set a record in September, according to the U.S. National Hurricane Center. Worldwide, storms caused $369.6 billion of damage, the second-most costly year since 1960. This hurricane season is “in the top 10 in most of the metrics we use to measure hurricane activity,” Bell said. And we haven’t even mentioned Ophelia, a “crazy storm” that maintained hurricane strength within 12 hours of nearing Ireland, said Jeff Masters, co-founder of Weather Underground in Ann Arbor, Michigan. It was the worst tropical system to threaten Ireland since 1961. A construction boom along U.S. shores in recent years acted as a damage multiplier this year, when nature threw its worst at beach homes, waterfront resorts, power grids and Gulf Coast refineries. Watson’s storm costs are based on physical damages, clean-up expenses and lost business activity that isn’t recovered within a year. To account for buildings, homes and factories that weren’t around 150 years ago, his models look at storms dating back to 1871 in the U.S. and 1960 globally, and project the damages they would inflict had they occurred today. If every hurricane that hit the U.S. in 1893 were to strike now, the cost would be $185.6 billion. The U.S. hasn’t been the only country feel the pain this year. Typhoons and hurricanes struck countries including China and Japan, Watson said. The totals are a testament to the damage storms that hit major cities can do. “Megacities such as New York City, Houston, or Miami in the U.S., Tokyo in Japan, or the incredible dense infrastructure around Hong Kong in China, are susceptible to a single event causing in excess of $100 billion in damages,” Watson and Johnson, a professor of statistics at the University of Central Florida, wrote in a study. To see the original article, please look here for more information: Check It Out Here!